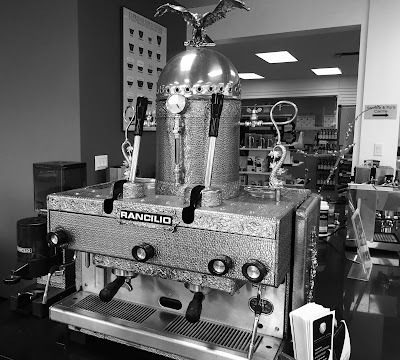 "The espresso machine is probably the least important in the value chain of good coffee. 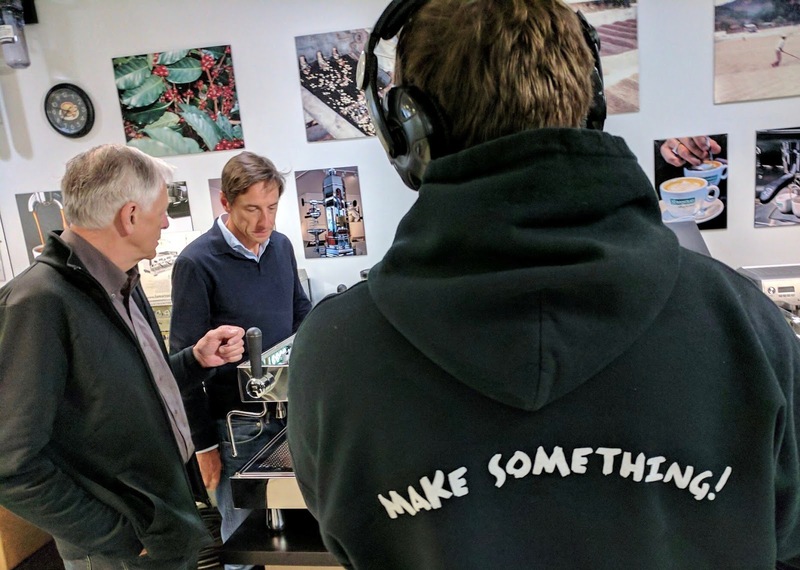 Much more important is the quality of the bean, the roast, the grind and the skill of the barista", according to Reg James, the founder of Espressotec. Yet, the market for coffee machines is growing in sophistication. Terms such as pressure-profiling and temperature-profiling are becoming conversation points around the local single origin espresso bar. With single origin coffee, a lot more work goes into getting the best flavors from the bean. A lot more engineering and technique goes into the machines that extract these flavors. 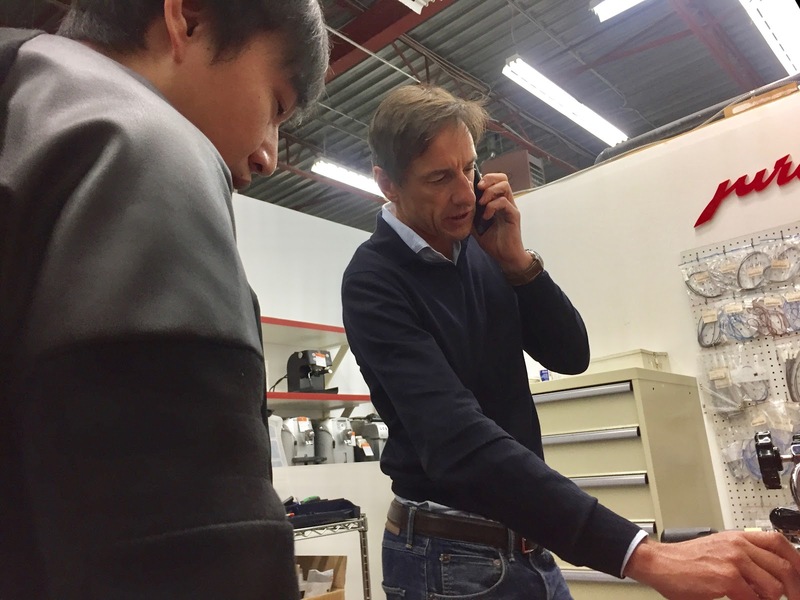 In this post, the Traveling Cowboys caught up with Reg James, the founder of Vancouver's biggest and most trusted coffee machine and accessory suppliers. We also had the privilege of meeting Andrew Meo, from Rocket Espresso Milano. In the coffee world, these are some of Our people. When we heard Andrew will make a stopover at Reg's place on his way to the Seattle Global Coffee Expo 2017, we couldn't contain our excitement. The motorhome is always on ready-alert for an opportunity like this. We immediately hit the road to Vancouver. On this trip, not only did we get to visit an old friend and trusted Rancilio supplier of ours, but we also managed to meet and interview a fellow coffee countryman from New Zealand. Andrew Meo is heading one of the fastest growing and best trending brands in Coffee Machines. At Rocket Espresso Milano they make the best espresso machines they possibly can. 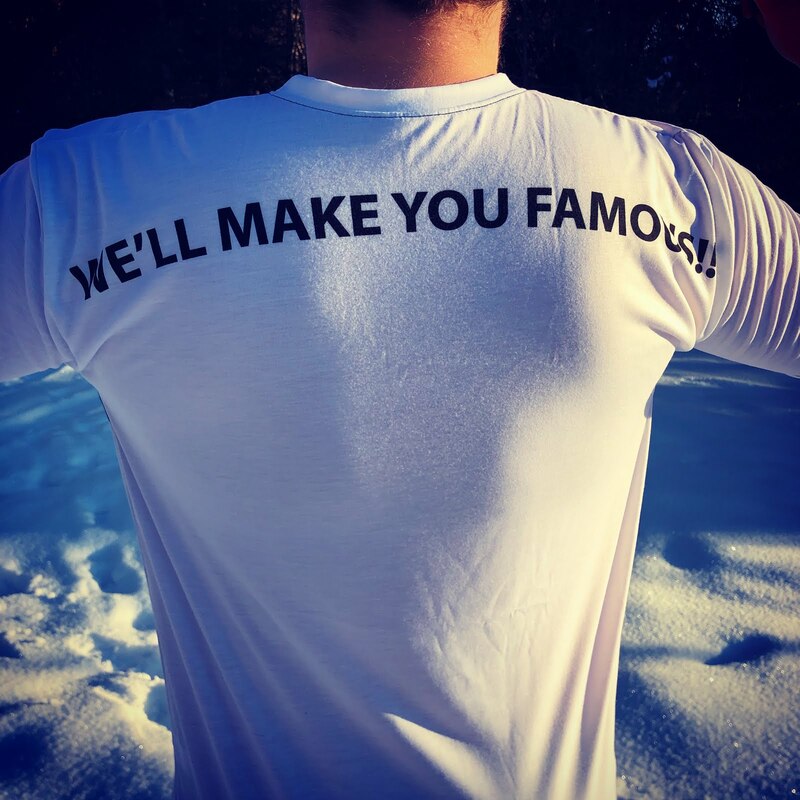 In a very crowded and well-established global market, Andrew and his team are breaking into the commercial sector with the same solid foundational values that launched the venture not long ago. 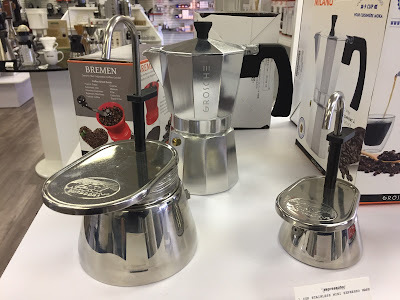 A small team of craftsmen in Milano, Italy produce both premium domestic and commercial espresso machines that are beautifully made with meticulous care and attention to detail. Machines that should last twenty-five to thirty years. Both of these veterans have a passion for the coffee business. They also have a passion for the quality that sets a company apart and makes products and brands legendary. Not a moment goes by without them offering valuable advice and opinion on how best to coax even more flavor and value from our love affair with the little coffee bean. We learned a lot on this trip. Espressotec is a one-stop-shop for the coffee gadget enthusiast. We can spend days there. There are not many places like this, where you can get hands-on with the latest from Rancilio, Rocket Espresso Milano, and La Marzocco. 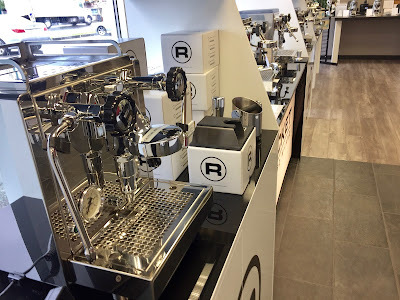 In the beautiful showroom that doubles as a coffee training lab and general customer hangout spot, you get to work with the machines and compare them side-by-side. On the one hand, you can experience the legendary history of almost a century of engineering. On the contrary, you get hands-on with the rebellious new kid on the block that is pushing traditional boundaries in a pocket-sized rocket package. The Ferrari is set against the Tesla of the espresso world. Espressotec hosts monthly events where barista and latte art enthusiasts can test their skills and learn new techniques from experts and from each other. The most important take away from our visit is the confirmation, yet again, that the coffee grinder is the stepchild of the coffee business. The grinder, which is probably one of the simplest machines in the coffee value chain, has the single biggest role and impact on the quality of a cup of coffee. Without a good and a correctly set grind, no monster espresso machine stands a chance to extract a good cup. We own a Rancilio and a Rocket espresso machine, but we protect our grinders with a vicious guard. Reg has trained us well to appreciate the things that matter (in the coffee world). We earn our livelihood from producing great content about inspiring people and their stories. We use Patreon to help us earn from our work. Please support us and get VIP privileges like early access to content and special offers. Alternatively, please sponsor us: http://www.travelingcowboys.com or Donate to our cause on GoFundMe: http://www.forwardthefavour.com. It helps us to promote our local people, businesses, and events and to keep entertaining you.